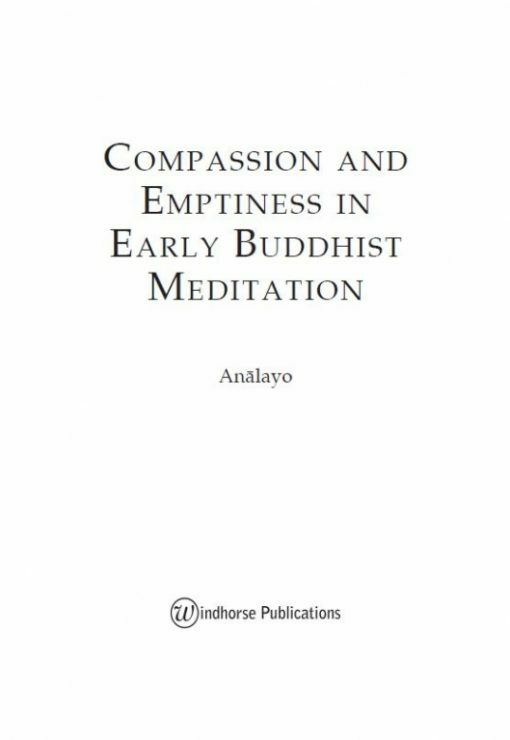 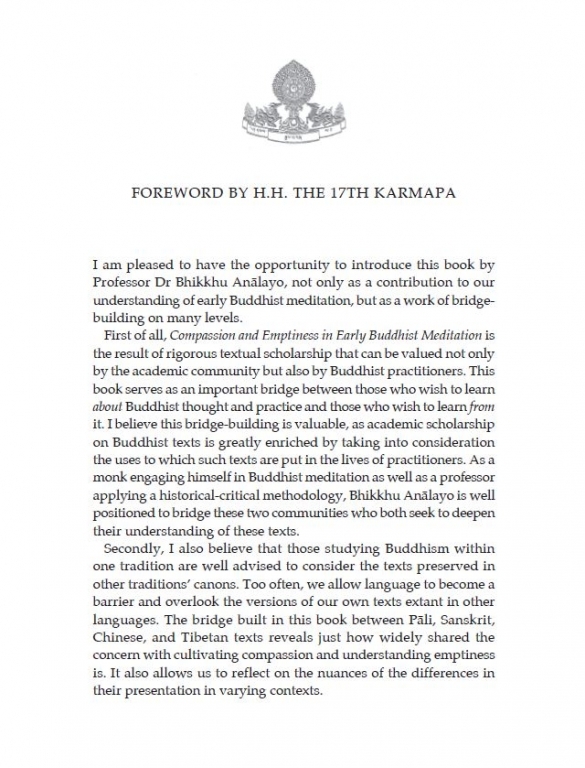 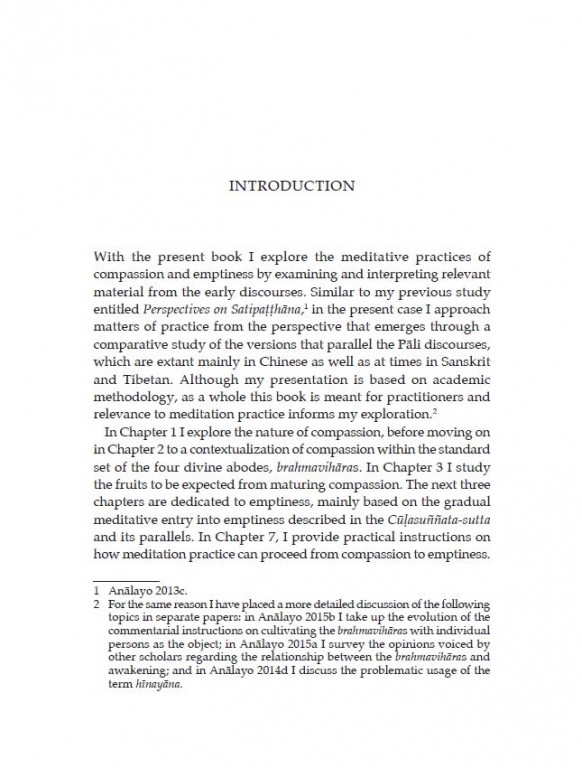 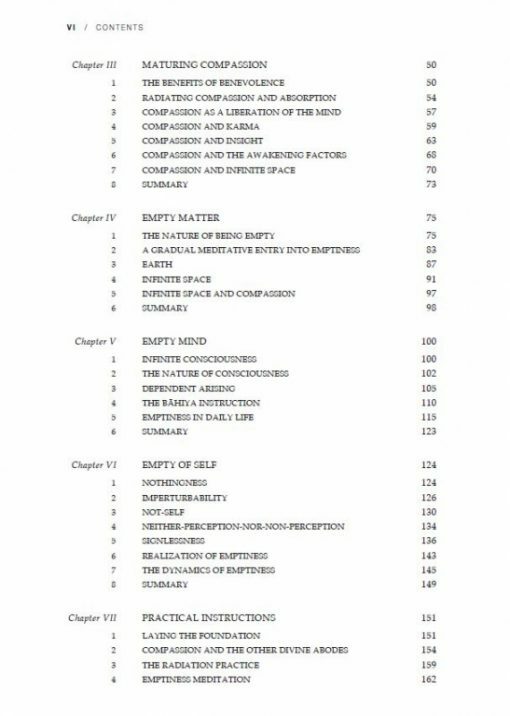 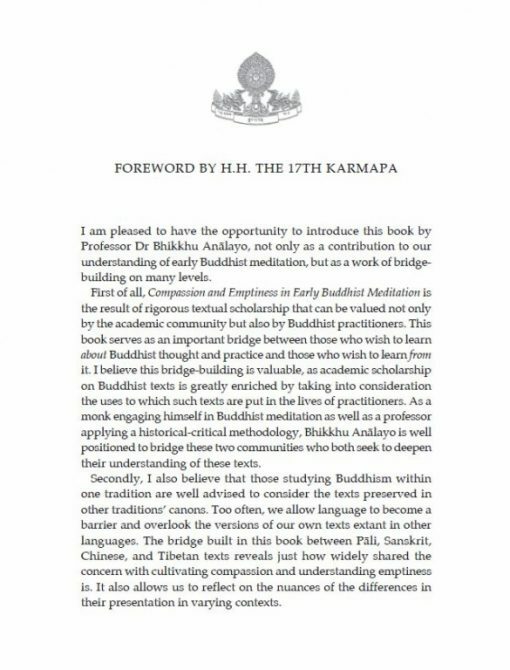 Anālayo investigates the meditative practices of compassion and emptiness by examining and interpreting material from the early Buddhist discourses. 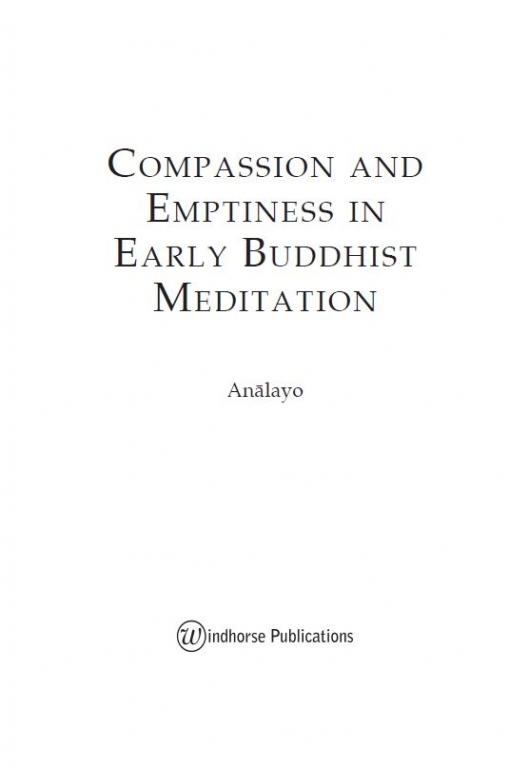 Anālayo investigates the meditative practices of compassion and emptiness by examining and interpreting material from the early Buddhist discourses. 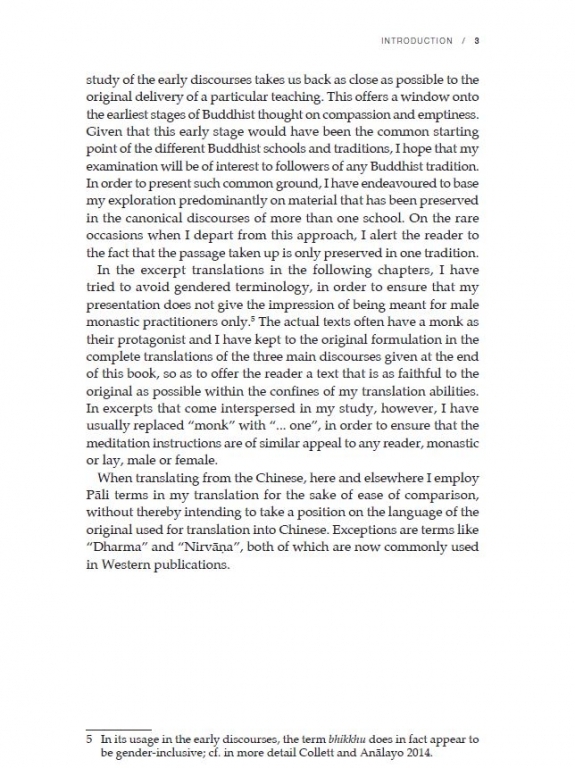 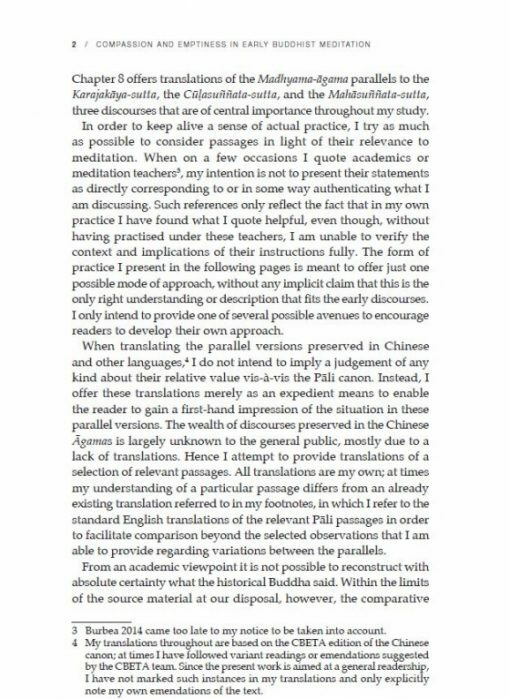 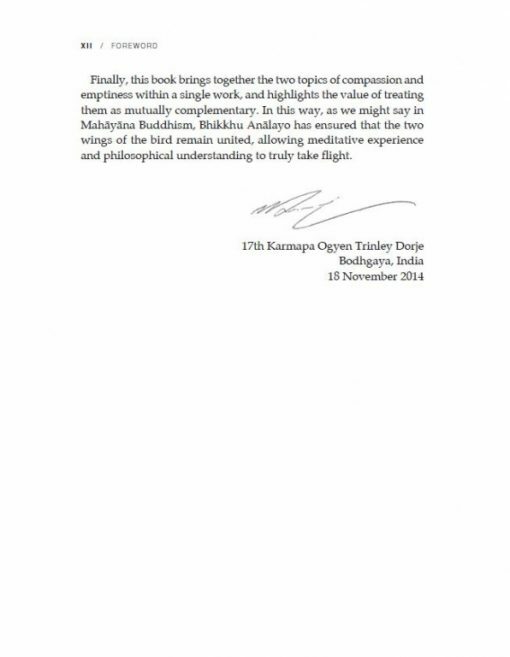 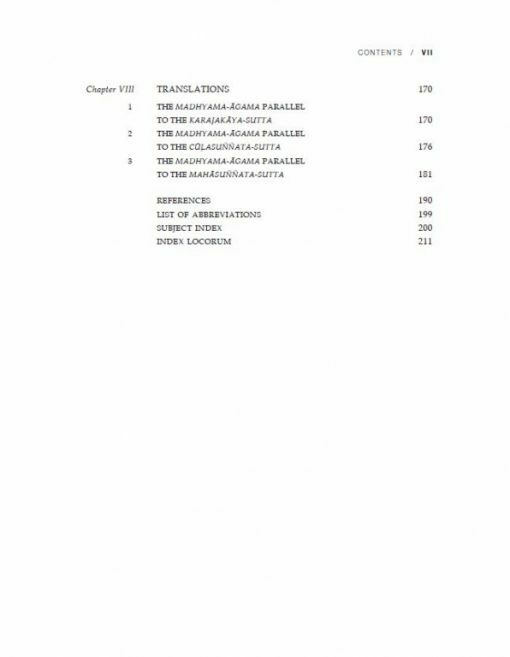 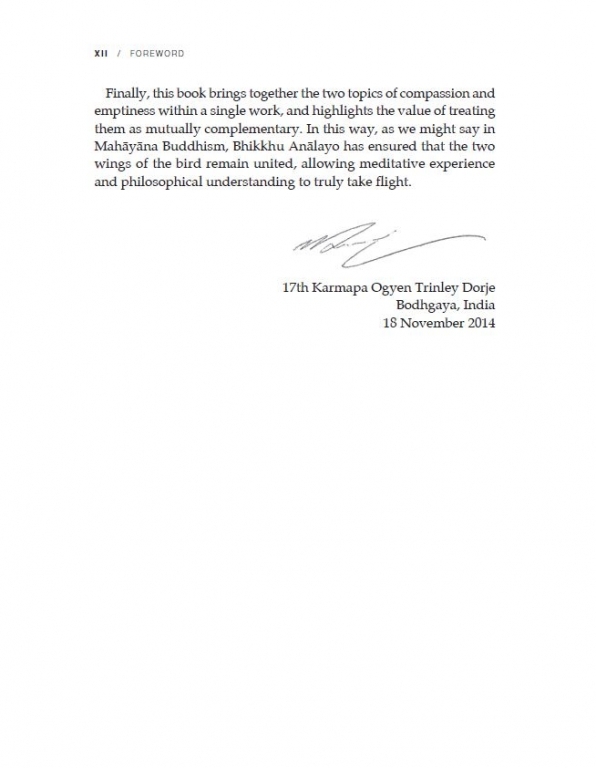 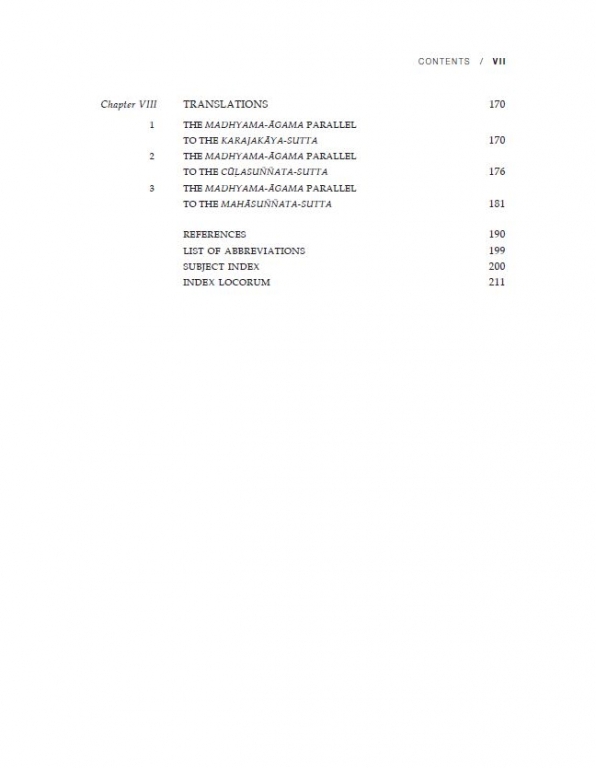 Similar to his previous study of satipatthāna, he brings a new dimension to our understanding by comparing the Pali texts with versions that have survived in Chinese, Sanskrit and Tibetan. 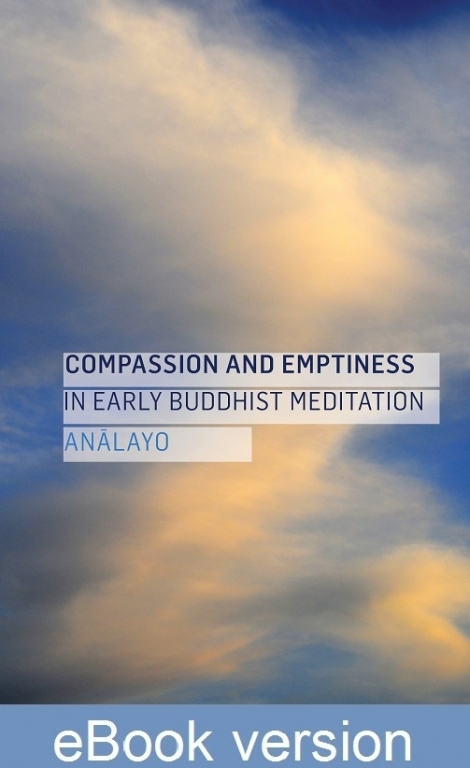 The result is a wide-ranging exploration of what these practices meant in early Buddhism. 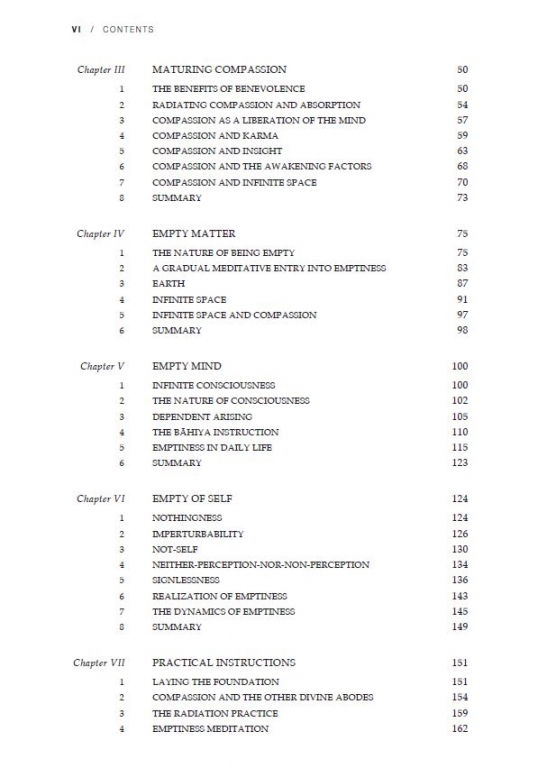 While his presentation is based on academic methodology, this book is meant for practitioners, and he focuses on passages in light of their relevance to meditation.